George was born in 1898 and lived initially at 6, Ellaby Road, Rainhill with his father John, a tin plate maker at Rainhill Asylum and mother Mary Jane. He had three siblings, Ethel Muriel, Margaret Ellen and John William. His mother was the sister of George Sumner who lived next door to the Abraham family at number 7 and who also survived (see link to George Sumner). The 1911 Census shows that the Abraham’s family had moved to the Sumner’s house at number 7, possibly following the marriage of John and Mary Jane. At the time of enlistment George’s occupation is given as tinsmith’s apprentice. 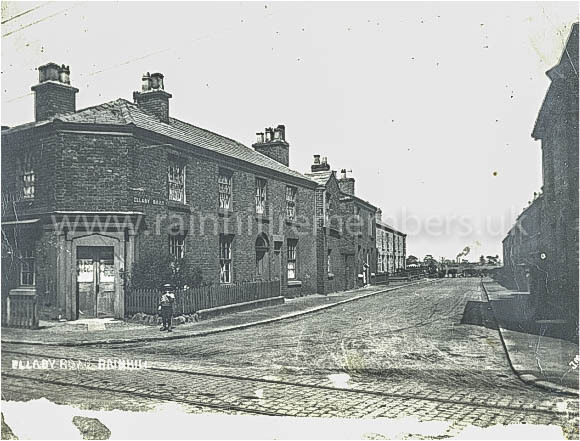 Ellaby Road, the house where George lived was on the left-hand side and the corner shop at this time was Ball's, the printers. Later it became a general store.